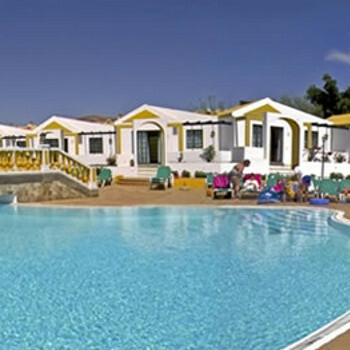 Caleta Dorada Apartments offers guests a warm family friendly atmosphere with lots to see and do both on and off site. Perfect for a fun filled family holiday in the sun. We arrived at the hotel to find that there was no room for us and was took to another hotel until it was sorted, we lost 2 days of our holiday because of this. WHERE TO BOOK;- Caleta de fuste is also known as Costa Caleta, there are a few areas carrying the name ANTIGUA one Costa de Antigua is in Nuevo Horizonte that is half way between Caleta de Fuste and the Airport, there is no beach there although there is a bus service but quite a jaunt if you need to go into the nearest lively areas of Caleta de Fuste. As for Antigua that name also crops up in two areas at either end of Caleta de Fuste. USE THE MAP:- Before I book holiday accommodation I always check out where I would be staying and what attractions etc are in the area however, I think when booking for Caleta de Fuste it is essential to check the map, I walked into Nuevo Horizonte and it gave the impression of entering a prison complex, I failed to find anything attractive about it. CALETA DE FUSTE BEACH:- There have been many reviews about the stony beach but they are years old, I was there in December 2016 and there were mountains with possibly thousands of tonnes of sand for repairing the beach, work was progressing at a good pace and I think soon if not now those returning will be pleasantly surprised with the improvement. TRAVELLING WITH CHILDREN:- I have stayed at many hotels and thought, there is not much in some of them for children to do, they could be easily bored, hotel entertainment isn't like it use to be. Out of Caleta de Fuste on the road to the Airport (on bus route) about 2 miles along the road on the right hand side are warehouse type shops, one is full of toys, games, dressing up outfits etc. I walked into this warehouse by mistake but although a pensioner had to look around, there was so much to see, that was when I thought how anyone whose children were disappointed with hotel facilities could turn a possible poor experience into a good one. THINGS TO DO:- I am surprised people don';t explore, ask others etc about what's on late, I often end up returning to the hotel at 3 or 4 o'clock in the morning, there are places open for young and like me old, although holidaying alone I am not alone there are always people to enjoy time with. FOOD IN CALETA is varied and geared to accommodate all tastes or budgets whether going All inclusive, Half Board or Self Catering there is something for everyone. I travel the world, on average one trip a month, Butlins, Night Club style, Children's entertainment is deteriorating wherever you go, to keep prices down quality in some areas is not what it use to be. Hotel tip: Shop around for the best price. sometimes it is cheaper to use the internet like Trivago and other times booking with the hotel direct is cheaper, strange but the last booking I made for later in the year I am making a saving of £40 a night on an airport hotel booking. Some hotels like Barcelo give discounts if you register with them under their My Barcelo banner 5% plus 5% for over 55's. We stayed on a bed and breakfast basis and had the usual breakfast, eggs, toast, jam and butter with fruit juice and tea/coffee which was served quickly in the large restaurant. The hotel was clean throughout and the restaurant was set out nicely. We did have evening dinner in the restaurant which was very good and served nicely in nice surroundings; we had half a bottle of wine with dinner which was expensive but good. They had Rajastani music and dancing on throughout the evening. The hotel was located on the main road but we had no traffic noise in our room. We had air conditioning and fridge and TV. We also had an Ayuverdic massage at the hotel which was very good and good value. We also had tea/coffee making facilities in the room. My husband and I stayed here in 2009 and the food, facilities and entertainment were really good. But we went back May 2011 and this hotel has gone down hill since 1st choice pulled out - Only 1 pool open, 1 bar. There should be 3 pools open, 3 bars including a irish pub! Mediteranean & chinese restaurant closed only, buffet open. Choice was very limited to chicken nuggets/pizza and chips every day for lunch and dinner for our daughter. Visit The Pickled Palm in the complex behind the hotel for good fresh food. Some snacks at the pool bar are chargeable now - eg chips are 2 euros, cheese toastie and sandwiches free. If you want a hotdog they are free before 1pm then charged for them after 3pm when it reopened. Kids play area closed and crazy golf closed. Evening entertainment was bingo and karaoke every night. Couple of acts a week eagle show and acrobats were good. Beware 2 bedroom aparts are double room and bunk beds! Not so good when you have elderly adults in your group. There is a lovely market in the carpark next to the hotel every Sat morning, worth a visit and the train is 1 euro downtown. Hotel was clean, the staff were friendly and it was in a good location. 10 minute walk to town and nearest beach. If you are prepared to walk for a further 10 minutes you will find a much nicer beach than the man made one. The food wasn't perfect, sometimes cold and sometimes not cooked properly. Often you would get there to find there were no plates or cutlery so you had to wait around. Also the food was very samey not much variety good if you like fish. The pool was very cold so I didn't get in at all but the kids loved it and spent all day in there. The entertainment was not up to much day or evening unfortunately. Same things every night. Free train to beach is not free it is 1 euro and we did not have Playstation in room as specified when we booked because they kept getting stolen. Myself, partner , 9 yr old and 4 yr old arrived at the hotel and really liked the look of it. Recepetion was very nice an the pools etc. had the keys to out room which was around a ten minute walk away to find our key wudnt work in the door, called for help and locks were changed in an hour or so. Our bathroom had an infestation of ants in the bath an asked them to sort it out but they didnt. The rooms are quite dingy an very small with blue itchy blankets for beddin an no air con. The first week we thought the food was ok, cud be better as there was not much choich, my 9 yr old ate pizza the whole time , the second week the food went right down hill and people were becomin very ill includin myself, vomitin constantly. We made lots of friends there which allso fell ill, i didnt eat for the last 3 days of the holiday an not many people i know did either. The hotel staff are very nice an hard working, kids clubs a bit of a let down as when they have too many kids they turn you away , not good when they are signed up to go for the day. Entertainment was ok, mini disco ( 3 song) then bingo an then desic, other nighgt was a parrot show, brazian dancers which were pretty good. I wouldnt visit this hotel again , i have been home 4 days and still ill and the doctor says its food poisening as does my friend we met there. I would prob go bak if i wasnt eating there as the pools are good, a massive selection of drinks an the hotels in a good spot, ten minutes from beach an shops . I would not reccommend this hotel to anyone, we came home on 30th June an my partner has been in hospital since being treated with Salmonella which she fell ill with on Our second week. So many people were complaining about the food an people were falling ill all the time. We spoke to many people who had come to this hotel for the second yr now and they said last year it was fantastic but they have taken the cresh , football academt, swimmiing lessons, all gone and the kids clubs are turning kids away because they do not have enough staff. The swimming pools are freezing an its not due to weather because it was boilin while we was there but the pools were like ice. Ants were a major problem , our rooms were full of them , they were all over Our clothes, in the bath and the sink , not nice at all !!! Was worried about going here as mixed reiews and reported breakins. We didnt hear anything about breakins tho while we were there. Overall impression of this place was that its a little tired but adeqate in all areas for price paid. Hotel was clean was being repainted in some areas. Rooms were clean basic but nice set up with terrace we were near baby pool ideal spot. We did have trouble with ants and spoke to others who did too but the cleaners sprayed everywhere and it got rid of them. Location wise it is walkable to beach but is probably furthest hotel away in resort. Theres a train at 1 euro each was sometimes really full and this was quiet season. Glad was all inclusive as a lot of bars and restaurants were still shut up for time of year. Food wasbasic at times compared to preious hotels but good quality. Mediterranen restuarant dire gie it a miss couldnt get in chinese was full. You need to book these on day of arrival. Staff generally very friendly and entertainment ok most nights. Wouldnt go back would prefer to stay nearer beach, and the pools were too cold lots of steps aswell, but there are ramps in most places. The hotel was very clean, especially as so windy and paper cups and plates would fly everywhere around the pool. Food good, although we did visit the mediterrean restaurant which wasn't much cop. My little boy had the sausage and mash and the mash was "Smash". My friend had the Canneloni which didn't look at all appetising. The Chinese was much better and the main restaurant always had a good selection. The pools were cold but clean, although my 3 year old cut his knee open in the baby pool on a broken tile and we had to visit the doctors, but the manager of the hotel was very kind and offered us some money as way of compensation, the reps however didn't seem too concerned!! Staff friendly and liked to give you "Happy Happy" measures at the bar!! We heard of one break in but luckily nothing happened to us. Don't you hear that everywhere you go though?!! Would go back.